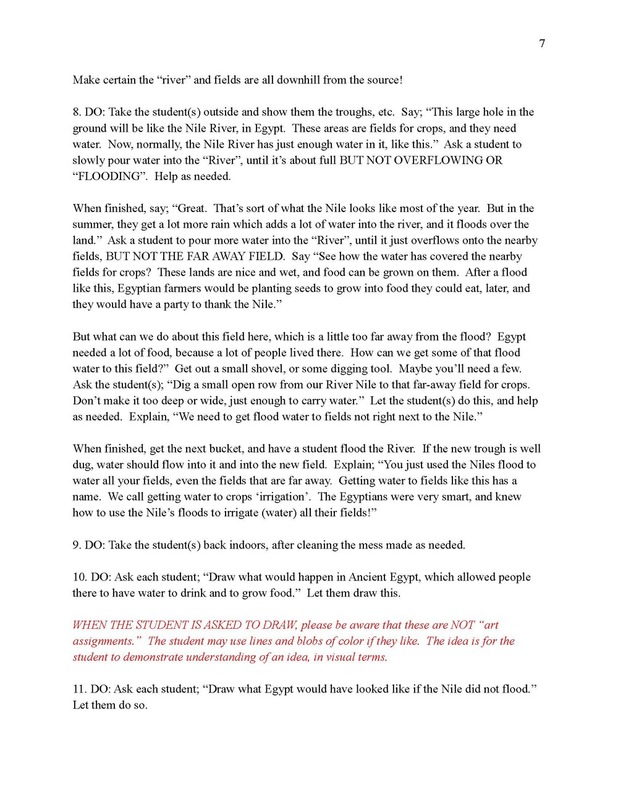 Introduces the student to ancient Egypt! The final 14 history lessons for Step 1 Semester I covers that wondrous and magical civilization, ancient Egypt. Why and how did that great civilization, which survived over 3,000 years, form in the midst of a desert nation? What did the ancient Egyptians believe? A land where women occasionally ruled, and the first man we know of in history to believe in one God was also their Pharaoh (a God-King). Pyramids, the Sphinx, boats and chariots! Egypt unveiled for the young student to experience and appreciate...even students who happen to be preliterate.